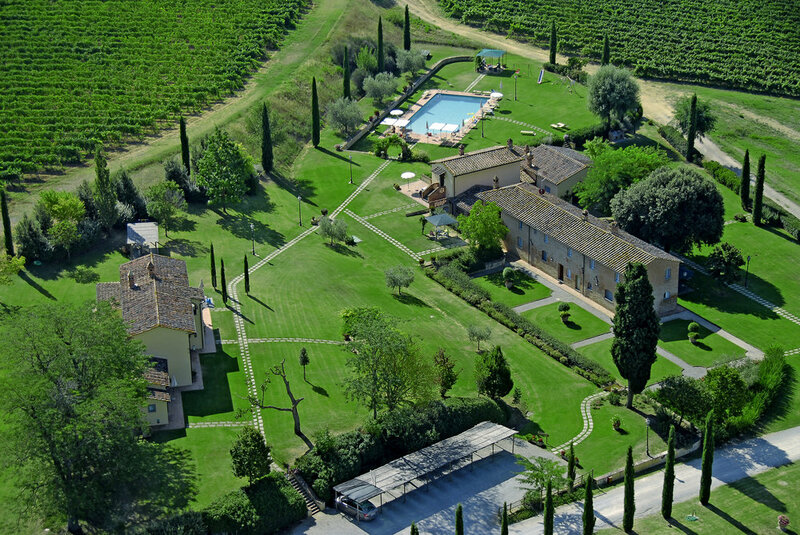 Our farmhouse is divided into nine apartments, but for large groups we are happy to rent the entire estate. As we do not live personally on the estate, the garden and pool are for exclusive use of the guests. The villa can host up to 30 persons in a total of 15 bedrooms. Please contact us on info@viadellastella.it for a price offer.